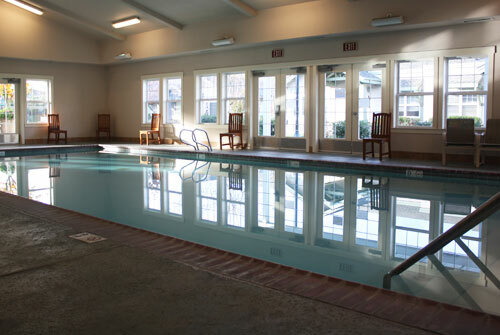 Our indoor pool is heated to 86-degrees year-round for water aerobics and swimming. 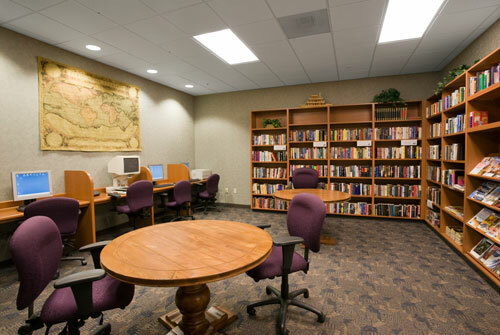 Featuring a fantastic collection of books, newspapers and magazines, a magnifying machine and four computers with internet access for residents and their guests. 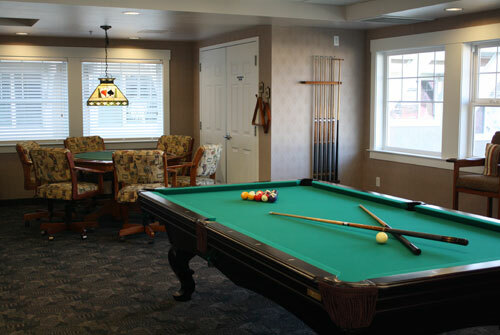 The perfect spot to shoot billiards, play cards, enjoy shuffleboard and socialize during our Friday Happy Hours. 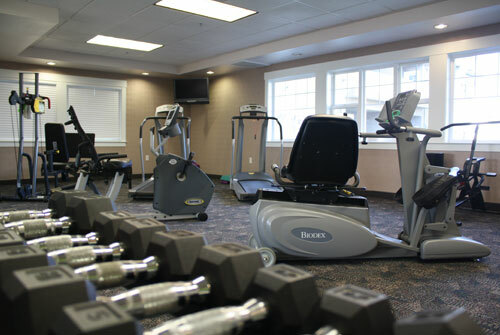 Equipped with treadmills, recumbent bikes, weight machines, dumbbells and stability balls. 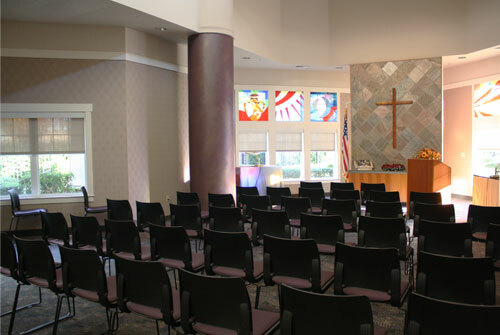 The Chapel hosts a variety of weekly worship services including Catholic and Non-Denominational services and weekly Communion and Bible Study gatherings. 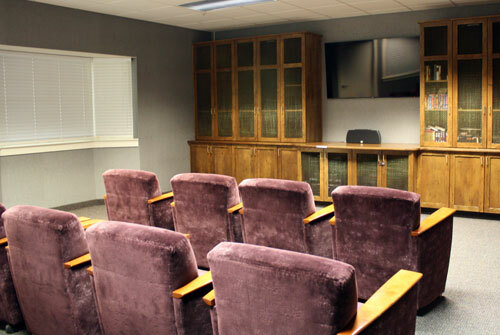 Residents gather in the Theatre to see their favorite films, watch sporting events, play Wii Sports or even show pictures of family or recent vacations. 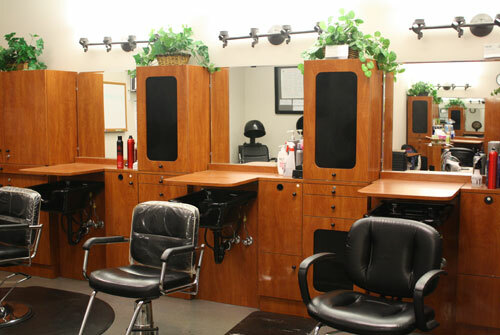 From haircuts for ladies and gents to manicures and pedicures, the Village Salon is sure to leave you feeling and looking better than you thought possible! 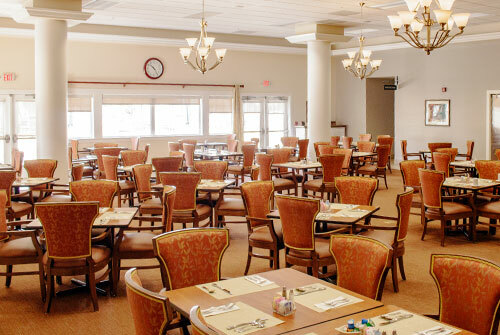 Residents and local community members rave about the quality and selection of food served at The Village Gardens Restaurant and Deli. 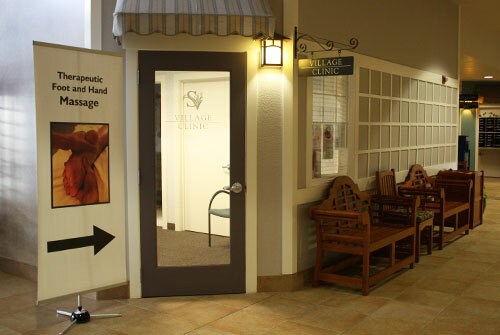 Services offered at the Village Clinic include massage therapy, foot reflexology, podiatry services, hearing screenings and flu shot clinics. 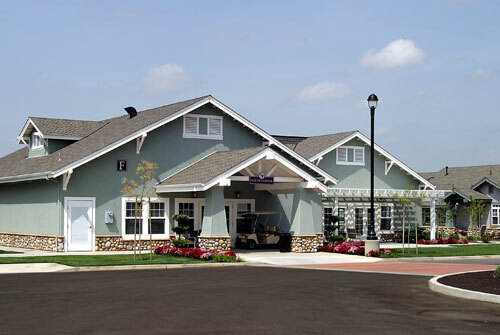 Our Activity Center is where you'll find residents playing Bingo, attending watercolor classes, enjoying strength training, meeting with friends and more. 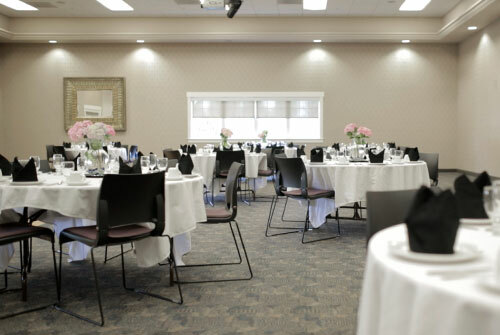 Samaritan Village has accommodations to suit any of your needs for receptions, banquets, corporate events and private parties, for up to 199 guests. 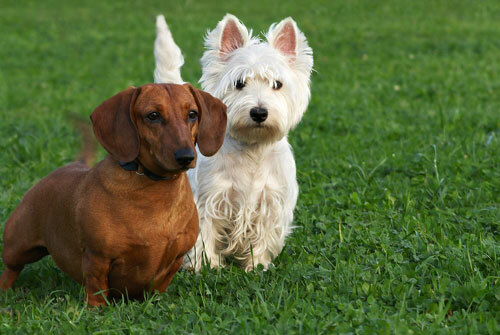 We know just how important it is for man's best friend to have plenty of exercise and time to run freely. Our dog park is the perfect place for Fido to cut loose.